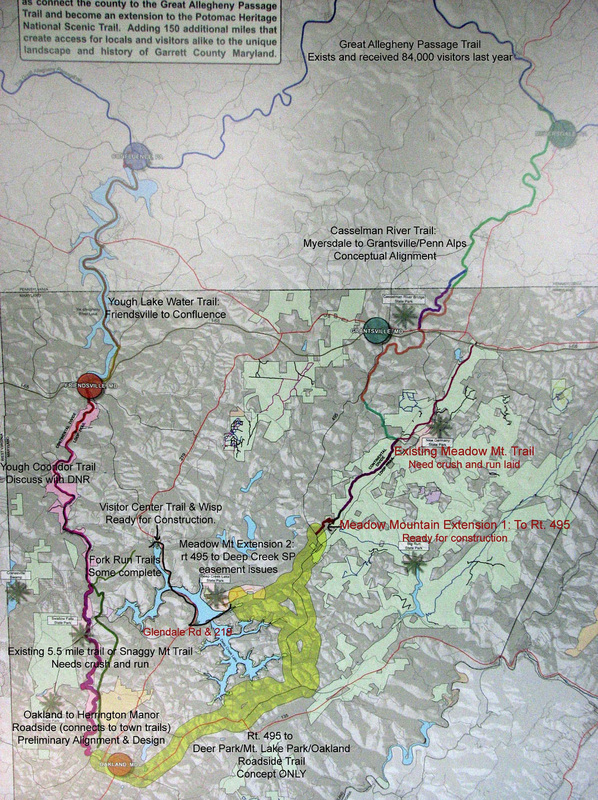 WHAT IS THE EASTERN CONTINENTAL DIVIDE LOOP TRAIL? 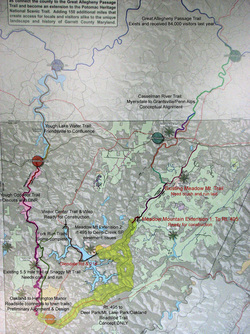 Garrett Trails is proud to announce that as of December 4, 2015, the Eastern Continental Divide Loop Trail has formally been recognized as part of the Potomac Heritage National Scenic Trail. 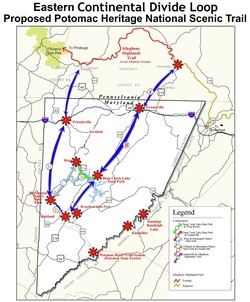 Garrett Trails has contacted the Pennsylvania towns of Confluence and Myersdale as well as the commissioner in Sommerset County, PA about current trail segments that are in PA and which could connect the ECDLT to the GAP. All of those contacted are excited about the potential for a trail connection between Sommerset County, PA and Garrett County, MD.